There’s a reason polls have shown that a whopping 45% of Americans would rather chose to skip Christmas altogether. All of the stress of planning vacations, buying gifts, and spending time in potentially volatile conversations with estranged family members doesn’t exactly scream Christmas spirit. However, as Dr. Daniel Amen and Tana Amen relay in this episode, you can choose not to fall into those stressful holiday habits. Dr. Daniel Amen:	Well hey, everybody. Happy holidays. But apparently not everybody thinks they're happy. 45% of Americans would prefer to skip Christmas according to a survey from Think Finance and reported on NBC News. It's a widespread problem, nearly a quarter of Americans reported feeling extreme stress come holiday time. Holiday stress statistics show up that 69% of people are stressed by the feeling of having a lack of time. 69% are stressed by a perceived lack of money. 51% are stressed out about pressure to give or get gifts. Tana Amen:	So I have a lot to say about this. Tana Amen:	Yes, because I have always felt like ... Well, maybe not when I was a little kid and I would run out and open gifts and I didn't have to be the one worrying and stressing about buying all the gifts. But from the time I was a young adult, like in my 20s, I did not like the idea of the commercial part of Christmas. Now, depending on your belief system, for a lot of us, the holidays, we think that it's about service, we think that it's about gratitude, but it's really grown into something so much different than that. Dr. Daniel Amen:	It's commercial. Dr. Daniel Amen:	What do you buy? Who do you buy for? Dr. Daniel Amen:	I know, she's like a guy. There's actually a study where when guys go to the mall, their bodies take ... They have the same physiology of soldiers in war. Tana Amen:	I understand that. I feel overwhelmed. Dr. Daniel Amen:	You have a lot of guy tendencies. Tana Amen:	Well, I feel completely overwhelmed. This feeling, I walk in ... The second we pull into the parking lot at the mall, you know. The second we pull into the parking lot, I'm annoyed. I'm like trying to keep it under my breath, but I'm kind of yelling at people. Dr. Daniel Amen:	I sort of like the mall. I like to stroll around. Dr. Daniel Amen:	See what to get. Dr. Daniel Amen:	We're here to help, not therapy. Tana Amen:	I'm trying to build this up. Dr. Daniel Amen:	It's not therapy. Tana Amen:	No, I think other people, that's the whole reason we're talking about this. Dr. Daniel Amen:	It's therapy for them. Tana Amen:	We're talking about this because this is the problem. The parking lots are crowded. People are blocking the aisle ways. You don't know what to buy. Everything is crowded and it's overpriced. And it's stressful. Dr. Daniel Amen:	So if you have really good frontal lobes, you plan ahead. And you have your shopping done by October. Dr. Daniel Amen:	Or you don't buy. Tana Amen:	Or. Third thing. Dr. Daniel Amen:	Buy online. Dr. Daniel Amen:	You can sit on the couch and take care of Christmas. Tana Amen:	Right. Well, last night, you called me on the phone. You were upstairs, I was downstairs. You're like, "Where are you?" 'Cause I'm usually with you. I'm like, "I just got half my shopping done." Tana Amen:	Are gift people. Dr. Daniel Amen:	That really matters. Tana Amen:	And now that Chloe is older, neither is she. Dr. Daniel Amen:	Gary Chapman has the book The Five Love Languages, which is awesome. And it's like what is your love language? And ours with each other is clearly not gifts. We don't really care. I think you are my gift every day of the year. And I'm eternally blessed to have you in my life. Tana Amen:	But I'll say it in like June. Dr. Daniel Amen:	A long time ago, just buy her what she wants. We're all good. Tana Amen:	But I'll say it in like June. In June, I'm like, "Hey, I saw something I really like. Do you wanna get that for me for Christmas?" You'll buy it in June. We're done. And so we're like done. Dr. Daniel Amen:	So it depends on your attitude. And you completely have control over the rituals that you set up during the holidays. You do not have to let Macy's be in control of what you do. People go, "But they will be disappointed." And I'm like, "Who are they?" I don't care about "they." Tana Amen:	Right. And it's nice to be at my age not constrained by this idea that I need to be polite to everyone. Dr. Daniel Amen:	Yes. I would say that is not a high value for you. Tana Amen:	As a family, we have actually discussed it. We've done The Five Love Languages together. And we were able to talk to Chloe, 'cause when kids are little, they like to open gifts. But they can open a box and they're happy. But now we've actually talked about this, and Chloe would much rather us take her somewhere for a weekend or do something cool together. So we've just sort of worked it all out as far as we get a couple of nice things and then we're done. Dr. Daniel Amen:	Yeah, and we don't buy candy. Tana Amen:	We focus on healthy stuff. Tana Amen:	Isn't an excuse. Tana Amen:	Wait, that one little clip that someone actually got ... Someone filmed you speaking at Saddleback Church, posted it. It was six minutes long. What the heck happened to that? Dr. Daniel Amen:	I know. It's got 15 million views. Tana Amen:	That's insanity. So yeah, I wouldn't quite call it boring. Dr. Daniel Amen:	So yeah, having a good brain, being healthy, taking care of your life, you get to do cooler things for longer, like being married to you. And I have plenty of fun. But it's this idea, everything in moderation. Don't you wanna live a little? And I wanna live a long time. And I wanna have my brain with me. And I don't wanna be a burden to my children. Tana Amen:	So let's talk about some cool gift ideas that are healthy, that promote health, promote bonding, that are maybe less stressful. 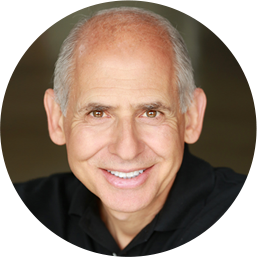 Dr. Daniel Amen:	Memory Rescue just came out. Dr. Daniel Amen:	It's a great book idea. The Bright Minds, Memory Rescue music CD. That's available now. 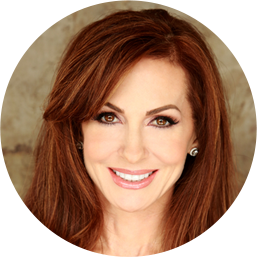 Tana Amen:	And of course, I'm biased towards my cookbook. 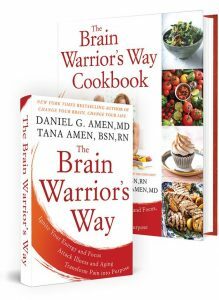 Dr. Daniel Amen:	The Brain Warrior's Way Cookbook. Tana Amen:	'Cause I think it's awesome. Dr. Daniel Amen:	The Brain Warrior's Way book. Dr. Daniel Amen:	The Ultimate Brain Box, they can get online, which is all of my public television specials, our specials. Tana Amen:	We're actually not just doing a commercial, we're just being a little biased. Dr. Daniel Amen:	Well, but give the gift of brain health because ... I'm working on my new book, Success Starts Here. And in it, I talk about there are three ways people change their behavior. Number one is they have an epiphany. And the scans we do here at Amen Clinics are an epiphany. When I saw my unhealthy brain in 1991, I'm like, "No, it can be better." The second way they change is they change their friends. The fastest way to get healthy is find the healthiest person you can stand and then spend as much time around him or her as possible. By giving away gifts of brain health, The Brain Warrior's Way Cookbook, Memory Rescue, The Brain Warrior's Way, what you're doing is you're creating your own support group, making it more likely you're gonna be a brain warrior. Tana Amen:	Right. And a couple of other ideas I know. Like we talked about the love languages. Dr. Daniel Amen:	I haven't said the third way people change. Dr. Daniel Amen:	Little tiny habits. Incremental changes. Ask yourself every day, whenever you come to a decision point in the day. Like for me now, being nice to you. Is that good for my brain or bad for my it? Tana Amen:	Actually, what you're really thinking, is that good for your love life or bad for it. I know the truth. Dr. Daniel Amen:	Well, it's the same thing. Are you saying the brains are in the same place? You didn't say that. Tana Amen:	Touching, that's right. Dr. Daniel Amen:	It's physical affection. Tana Amen:	Yeah, physical affection. And time I think. Mine was acts of service. Chloe's is time and acts of service. And so because I know that, last year I got her a gym membership with me to a place where we could take classes together. And she and I still go in the mornings and we take classes together. And we consider that part of our ritual of spending time together. It's not like a drag to go work out that way. It's like, "Oh, this is our thing we do in the morning." So think of things you can do like that, that keep you both healthy, that speak to the other person. Tana Amen:	Yeah. Anything else you wanna add? I like giving gift baskets that are full of healthy things. Dr. Daniel Amen:	Yeah, be careful with the alcohol. So when we have parties, we don't serve alcohol because that's when family stress goes up. Because when people drink alcohol, it drops their frontal lobes and everything they think gets out of their mouth, which may not be healthy. If you know you're with someone of a different political persuasion, don't talk about it. Tana Amen:	I know. What is up with that? Dr. Daniel Amen:	Political divide is crazy. Tana Amen:	It seems like our family used to use the holidays as an opportunity to fight about politics. And I hated it so much. It was horrible. And the other thing is, is when you're eating a lot of inflammation-causing foods, that definitely increases your overall stress 'cause stress hormones are released. Dr. Daniel Amen:	Which means you're not gonna be making quite the good decisions and that is gonna increase the risk of fighting. Tana Amen:	And heart attacks go up by the way. FYI. And heart attacks and strokes go up. Dr. Daniel Amen:	And depression goes up, but not suicide. December is actually the lowest month of the year for suicides. Do you know the highest month? Tana Amen:	Not just that. Time change. I just discovered that. Time change is part of it. It's this chronic jet lag thing we've got going on that increases inflammation as well and stress hormones. All of that combined is a problem. Dr. Daniel Amen:	So we wish you happy holidays. We hope they are blessed, brain healthy. I remember we did our first class where we helped people with weight loss. And we called the class Lose Weight through the Holidays. And the week of Christmas, the average weight loss in our group was two and a half pounds. There is no rule you need to be stupid during the holidays. Tana Amen:	Or you could be like Jason, our Marine, who lost 26 pounds during the holidays. And he was never happier or more grateful and said that he had never felt more abundance. Dr. Daniel Amen:	Wishing you a blessed, brain healthy holidays.